For handling plates up to 2000 kg FEZER offers you the universally suitable series VacuBoy. No matter if the workpieces have to be transported horizontally, swivelled or turned over by 180° the lifter VacuBoy is the ideal help to feed sheet working machines, commission dense, plate-like materials or bring them into or take them out of storage. Fpr special applications the VacuBoy can be adjusted to different requirements. 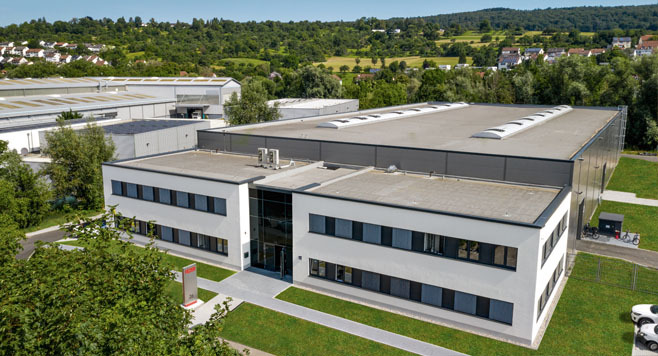 The clever modular system knows almost no limit and allows a nearly unrestricted adjustment to different requirements. The sheet lifters stand out because of their robust design, simple operation and high safety features. 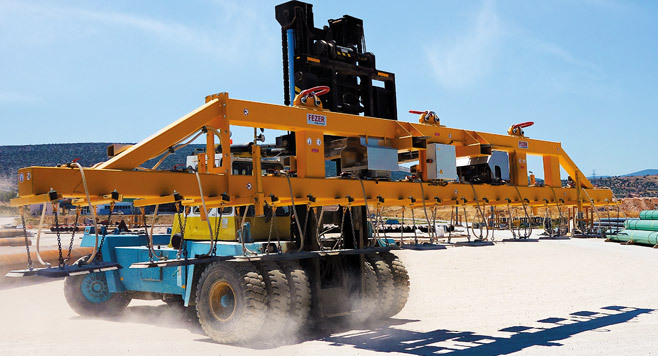 All manually controlled sheet lifters are equipped with the unique "main switch supervision". 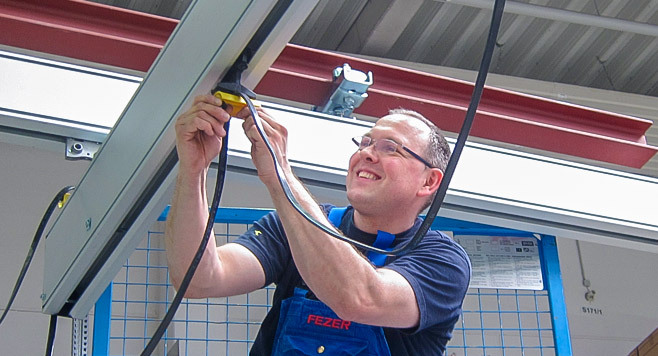 FEZER sets standards when it comes to the safety of your personnel. 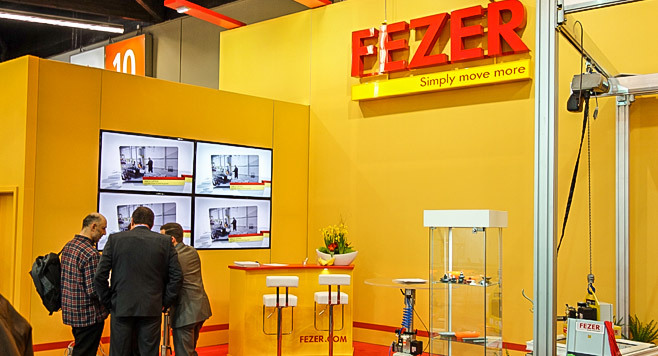 For automated working processes FEZER offers you these sheet lifters with mounting elements to flange onto hoist axes, linear systems or robots. 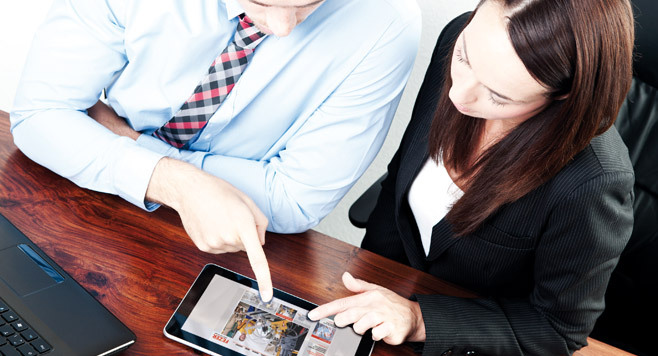 In both cases you can rely on the dependability and safety of the systems. Large dimensioned vacuum tanks and intelligent control and supervision systems make this sheet lifter a universally suitable all-rounder.